MANILA, June 5 -- Sen. Francis Escudero on Monday said that he did not agree with the House independent minority bloc's stand that Pres. Rodrigo Duterte’s declaration of martial law in Mindanao has no basis. "...Personally, hindi ako sumasang-ayon sa kanilang petisyon na walang basehan ang pagdeklara ng Martial Law dahil dalawa lang naman ang batayan nito sa Saligang Batas (Personally, I do not agree with their petition that there is no basis to declare martial law because there are only two bases to declare it in the Constitution)," Escudero said in an interview with reporters. “Meron rebelyon at public safety requires it. Sa pananaw at palagay ko, base sa report ng pangulo, base sa briefing na ibinigay sa amin rat base sa napapanood namin sa coverage ng media, itong dalawang requirement na ito ay present at makikita sa kasalukuyang sitwasyon (There is rebellion and public safety requires it. I think, based on the report of the President, based on the briefing given to us and based on media coverage, these two requirements are present and can be found in the current situation),” he added. He, however, said that it was still the prerogative and right of the minority bloc senators to question the declaration at the Supreme Court. The senator also shrugged off critics saying that the military and police failed as it did not meet its target of taking only a week to clear Marawi City of militants. “Kung meron mang namiss na mga targets, siguro alam na nila ‘yun, alam na ni Pangulong Duterte yan kung kaya’t 60-araw ang kanyang dineklarang maximum period ng martial law…(If there were targets missed, they know it, Pres. 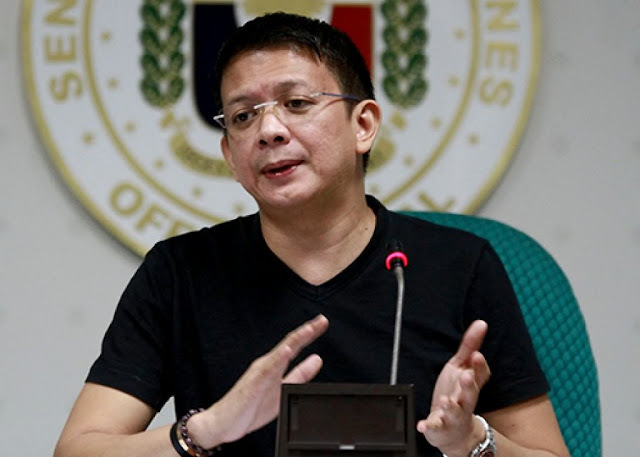 knows it, that’s why they declared a maximum of 60 day-period for martial law )," Escudero said. “Yung 60-days ay mandatory maximum period ng walang Congressional Approval. Sinagad nila yun, siguro sa kaalaman na posible ngang lumagpas sa takdang panahon na inaasahan sana nila na maresolbahan ang problema sa Marawi. (Sixty-days are the mandatory maximum period without needing Congressional Approval. They maxed it out, perhaps, knowing that it could exceed the expected period they wish to resolve the problem in Marawi)."